Expedia can help you save with Vago travel packages. With all that extra cash in the bank, you might even like to book a few additional nights. Secure your travel package on Expedia and save up to C$590*. Within a matter of minutes, you'll be able to sort out everything you need for your next trip through our comprehensive database. And — with more than 400 partner airlines and 321,000 properties from around the world, you'll have the freedom to mix and match! It's nice to just roam the streets when you're in a new destination, but sometimes it's a good idea to come up with a plan. Grab your travel schedule — we have lots of cool ideas for your forthcoming Vago vacation. In the mood for some snowboarding? It's among the most popular things to do in the wider region and a fantastic excuse to get out into nature. Still got time to spare? If you're hungry for more, don't miss the opportunity to try some skiing as well. When it comes to accommodations in the center of Vago, there's not a lot of room to be choosy. However, there are as many as 17 options in the neighboring areas. With Expedia, organizing cheap vacations and luxury getaways is simple. 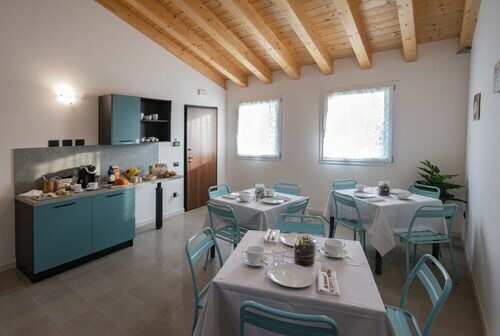 If you're having trouble deciding where to stay, make sure you have a look at the Agriturismo Delo Relais (Via del Torresin) and the Tenuta Le Cave (Via Pagnaghe 5). Getting ready for your trip to Vago? Flying in? Get ready to be greeted by a crowd of smiling faces at Valerio Catullo Airport (VRN). The terminal is based 11 miles (18 km) west of the central area. Situated in Lavagno, this bed & breakfast is 2.5 mi (4 km) from Le Corti Venete and within 6 mi (10 km) of Terme di Giunone and Villabella Water Park. Verona Arena and University of Verona are also within 9 mi (15 km). 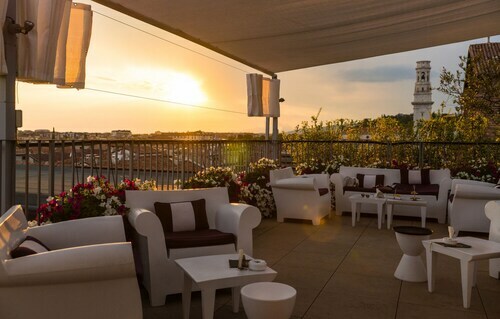 Situated near the airport, this hotel is within 9 mi (15 km) of Centro Commerciale Adigeo, Verona Arena, and Veronafiere. Juliet's House and Piazza delle Erbe are also within 9 mi (15 km). Vigasio Station is 17 minutes by foot. This family-friendly Verona hotel is located in the historical district, within a 5-minute walk of Piazza Bra and Verona Arena. Juliet's House and Piazza delle Erbe are also within 10 minutes. Verona Porta Nuova Station is 22 minutes by foot and Verona Porta Vescovo Station is 29 minutes. 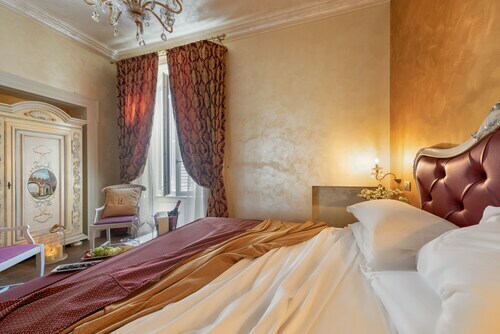 This family-friendly Verona hotel is located in the historical district, within a 10-minute walk of Porta Nuova, Piazza Bra, and Verona Arena. Juliet's House and Piazza delle Erbe are also within 1 mi (2 km). Verona Porta Nuova Station is 11 minutes by foot. Located in the center of Verona, this family-friendly hotel is within a 5-minute walk of Adige River and Piazza delle Erbe. Verona Arena and Juliet's House are also within 15 minutes. Verona Porta Vescovo Station is 27 minutes by foot. Located in Verona City Centre, this spa guesthouse is within a 10-minute walk of Teatro Ristori, Verona Arena, and Piazza Bra. Juliet's House and Piazza delle Erbe are also within 15 minutes. Verona Porta Nuova Station is 13 minutes by foot. Tue., 17 Sep. - Mon., 30 Sep.